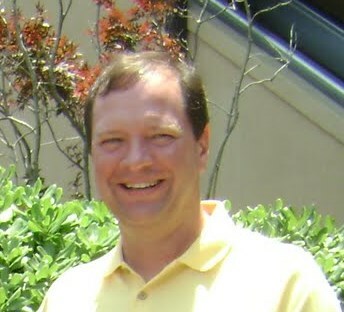 Dr. Scott Redwantz is a 1990 graduate of the University of Michigan Dental School in Ann Arbor, Michigan. Following graduation he was an associate in Bay City, Michigan. In 1994 he and his family moved to Caseville when he purchased the dental practice of Delmar Eichler, DDS. Dr. Eichler was the first and only dentist in Caseville since 1964. Dr. Redwantz made it his goal to provide Caseville and the surrounding area with quality dental care for the entire family. He and his staff treat every patient as if they were a member of their own families and make treatment recommendations that assure an optimal result. In 1996 Dr. Redwantz built a new building to meet the needs of his patients that were coming from all parts of Huron County as well as from around the state of Michigan. The newer facility allowed Dr. Redwantz to also invest in some modern dental technologies that have enriched his patient’s lives. In 2002 CEREC® all porcelain crowns became an important part of our patient’s dental care. These all porcelain crowns are milled in the office and permanently cemented on the same day. Patients love not having the impressions, temporary crowns and two separate appointments. 2005 we converted to all digital x-rays. Digital x-rays have revolutionized the way dental disease is diagnosed. The clarity and ability to zoom in on suspicious areas has been very helpful in diagnosis. They also produce less radiation than traditional x-ray units. This is an important advancement in dental care today. Dr. Redwantz and his team of dental professionals invite you to visit our office to get to know us and find out how we can take care of you and your family’s dental needs. Snap On Smile ® - A great alternative to full mouth reconstruction. structure, safe for Sensitive patients. Join us on FACEBOOK, TWITTER & PINTEREST! Go to our Social Media page and follow the links. Get useful, fun and interesting information from our office and stay connected.